LANGHAM, Sask. — Clean Seed Agriculture Technology will see six machines built this coming year. The unique seeding equipment had been in the prototype phase of development until an investment confirmed in the last few weeks that will see $1.8 million from the federal government flow to the company. 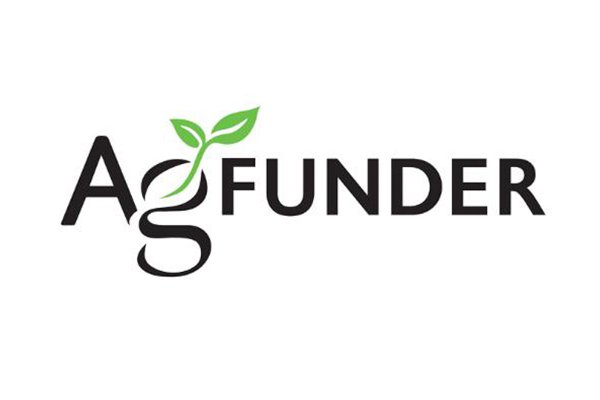 Federal funds are part of the AgriInnovation Program, the Enabling Commercialization and Adoption Stream of money, from the Growing Forward 2 agricultural policy framework. The funding will also support field testing and enhancements of the production line. Graeme Lempriere of Clean Seed Agricultural Technologies said various government agencies over the years have played a part in the growth of the company. Clean Seed participated in the seeding demonstrations at Ag In Motion this summer with its updated 60-foot CX-6 Smart seeder. “This is a new category, a new class of seeder,” he said. A close up look at the SMART Seeder™ with Colin Rosengren – VP, Product Development. Each opener on the CX-6 production model has six electrically powered meters. Earlier developmental models of the CX-6 had the six product meters attached to each opener, while the latest production units have the meters up on the frame on top of the openers. “The meters up off the openers was done for a couple reasons: one was to clean up our delivery lines,” said Colin Rosengren, who helped develop the seeder. Moving the openers to the frame also allowed the company to connect on a single rail the controls for each opener that determine where in the furrow the products will be placed. “We can simply change that position of a product in one spot and change the entire wing,” Rosengren said. The openers on the CX-6 allow operators to direct any of the six individually metered products through any of three shoots. Product can be directed in a paired row, on either side of the opener or down the middle of the furrow. Up to 350 pounds per acre of product can be applied through any of the six product meters, and more than one run can be used to achieve higher rates if product is pre-blended. Each individual meter is wirelessly controlled, and instead of sectional control, individual meters can be turned on and off to avoid overlap. The software is built to follow prescription maps, including depth control by prescription, and data logs keep track of all activity. The individual metered openers can compensate for turns, allowing for uniform distribution of seed and product. The entire machine, including the product tanks and tool bars, runs on two tracks that are rated for 100,000 lb. The centre of the tracks is the machine’s pivot point, which also runs through the centre of the wings and openers, so the side draft and skewing are kept to a minimum when turning. The rear tool bar, which is behind the pivot point of the machine, also has a pivot. “The geometry (of the rear tool bar) is built so that we’re not leaving gap and overlaps when we pivot. It follows in the space between the wings while turning,” Rosengren said. The CX-6 has been built on a Willmar, front folding toolbar. The seeder is 14 feet high and folds to 27 feet wide from 60. “Our tracks are centred on 11 feet, and so that allows us to pull over way towards the ditch and let that wing hang out in the ditch,” he said. The product delivery system is static, so there are no moving parts or meters at the bottom of the tanks. It is a central delivery system similar to what some planters use. “When air is flowing through the machine and the screens are uncovered above the meters, the air velocity is such that it picks up product and it starts blowing it,” Rosengren said. “When it covers the screen it basically just shuts it off. It back pressures the system and products stop moving in the lines, just like driving a grain truck down the road. If you get going fast enough, product starts to blow off and if you slow down it stops.”. A second air run, called the injector line, is used in the transfer system to prevent line plugging. It injects a higher pressure flow of air after product is picked up. “When there is a demand for product, air flows through that nozzle and flows through that fan to supply the air and move that product,” he said. The injector lines in the transfer system allow operators to run both small and large seeds at the same time in the same system. Twenty-five to 30 gallons of hydraulic flow per minute are required to run the two blowers, while five gallons per minute are needed to maintain the active down pressure on the openers. Approximately 50 gallons per minute are required to lift the openers up and down. The software can be adjusted to accommodate growers who use a tractor that only supplies 60 gallons per minute. “We’ll shut off the hydraulic oil to the fans, use the full flow to lift the openers, put them back in the ground and start the fans again,” he said. Six product tanks would be logistically problematic when filling the drill, so the company has developed a shuttle cart system that can refill the seeder tanks on the go. The cart supports the logistics and product handling for the CX-6, and has the same 500 bushel capacity and tank sizes as the seeder. There are no moving parts on the smart cart. Instead, it uses a near dense phase pneumatic transfer system, which is a high-pressure system that moves product slowly in a denser hose. “What that means is that the hoses move nearly full, so these hoses are at least 30 percent full of product,” Rosengren said. The bottoms of the tanks are tapered with a pipe that is offset, which creates an air void at the top. “So they are not ever plugged or solid,” he said. Blowers power the transfer system on the smart cart through a five-inch supply line. Six other lines, one for each tank, also run from the smart cart to the CX-6. “The different size lines are proportional to the size of the tank,” Rosengren said. The transfer system is designed to use 60 gallons a minute of hydraulic flow, but this requirement doesn’t have to be met. If not, it will just take longer to transfer product to the seeder. “Again, we can shut that off when we go to lift the openers,” he said. The cart has a fifth wheel hitch and is delivered to the field by a semi truck. It attaches to the seeder on the opposite side of where the semi hooks up. “You back up your semi, it’s going to ramp up and lift this end up,” he said. The tires for the field are lifted off the ground as the semi backs under the trailer, and the tandem axles that have highway tires and air brakes are left on the ground to carry the load. A winch on the back of the seeder helps users quickly attach the cart, and operators will drop the tank off at the edge of the field when the smart cart is empty. A fifth wheel plate on the back of the cart allows operators to hook two or three carts together and tow them with the same truck down the road and then leave them ahead of the seeding rig. The air brakes are engaged when a trailer is left in the field, and a valve needs to be turned to release them when it’s towed behind the seeder. A separate valve will release pivots so a trailer can follow the ground contours, and another valve controls a trailer’s articulation action. The valves are turned back to transport position when a semi truck is hooked on to tow the trailer, and the unit becomes ridged and fit for the road.